Are you concerned about the security of standard telephones? Do you need a phone that can withstand the elements? Is the privacy of your information central to your line of work? If you are in need of products that give a new meaning to the terms ‘reliability’ and ‘durability’, then, you need only to look to Gai-tronics for your electronics communications needs. Whether you’re looking for a small network of telephones to enterprise level security, Gai-tronics has the solution for you! If your business relies heavily on seamless, timely communication between employees who may be in different areas of a job site, then you will need a communication solution for each individual situation. While finding the right product can be time consuming and expensive, Gai-tronics makes the process easy, and since they’ve been in the industrial communication industry since 1946, they have the reputation and history to give you unparalleled peace of mind. Gai-tronics offers an extensive line of communication devices ranging from telephones for use in hazardous areas to two-way communication points. The telephones range from fully-functional all the way to single button, one line models that restrict communication to a single, or series, of points. They also offer a variety of public address and signaling devices for industrial use. Gai-tronics also has experience with radio and RF, and they even offer a voice-over IP solution for telecommunication and remote work. If you need a telephone-based security system, Gai-tronics has that, too. All of the products available are of superior quality, boasting longer life, clearer signals, and better sound quality than any competitors’ products. The difference in quality is too good not to experience for yourself! Each product purchased also comes with complete installation guides, making the application of new technology easy for any business. Gai-tronics also provides customer support to all of their customers. Gai-tronics also guarantees the use and effectiveness of their products for their designed purposes, meaning you have a company-backed guarantee that your technology will work when you need it most. Outside of the U.S.A? No problem! 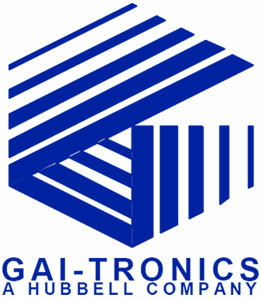 Gai-tronics technology and support is available internationally. As with anything else, you get what you pay for. Gai-tronics is a proven, reliable company whose products can be trusted to get the job done when it counts. The prices you pay are nothing in comparison to the loss of profits and productivity with faulty equipment. They have products to fit almost any company budget, ranging from $100-$1,500, depending on the use and features in a particular solution. For specific pricing information, visit www.TWAcomm.com and search ‘Gai-tronics’. With Gai-tronics, you have the option of ordering from the company directly, or searching the extensive database of products available on www.TWAcomm.com. You’ll find virtually the entire inventory of products at a reasonable price, making TWAcomm an ideal place for all your industrial communication needs.